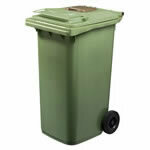 Our container range leads the market for collecting food waste both inside and outside of the home. 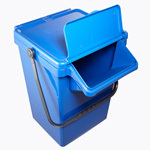 Proven in the field, the Kerbside Caddy and our range of Kitchen Caddy products have helped many local authorities to achieve their recycling targets. Liners which are both 100% compostable and 100% biodegradable are available to fit all of our caddies with custom sizes available too. Designed to sit on the kitchen worktop for the collection of 2-3 days worth of kitchen scraps. 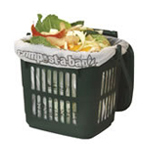 Specifically designed for use with compostable liners, the aerated surfaces of the caddy increase airflow, allowing liquid to evaporate reducing the weight of the contents. 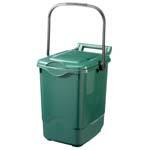 Market-leading caddy for the collection of food waste at the kerbside. Has a host of features ensuring best suitability for purpose. 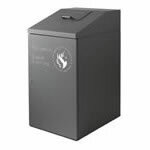 100% compostable and biodegradable liners available in a range of sizes and gauges – compatible with all of our food waste containers. 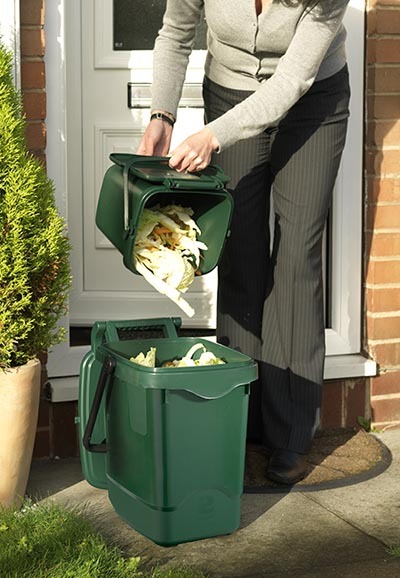 Including a custom lid with a small food waste aperture and a slam lock – for the collection of food waste in communal areas. 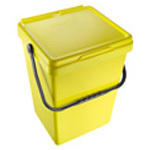 Improves aesthetics whilst protecting a wheeled container and its contents. 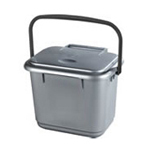 Includes an aperture which ensures the contents of the container are not visible.